Posted on 19 January, 2017. Following speculation earlier in the week, the Prime Minister has confirmed the appointment of the Hon Greg Hunt MP as the new Minister for Health and Sport. As expected, Senator Arthur Sinodinos AO has been appointed to Cabinet as Minister for Industry, Innovation and Science. Very few other changes have been made, with the exception of Victorian MP Michael Sukkar the only new face to the ministry. Minister Hunt has been a solid performer for the Coalition since it was elected to government in September 2013. Minister Hunt’s careful and considered management and stewardship of the Environment and Heritage portfolio, during the challenging period of repealing the carbon tax, has seen Minister Hunt’s start continue to rise. Coupled with his sound approach to stakeholders, his consistent performance on the front bench and in Cabinet, Minister Hunt has established his credentials as a strong and reliable parliamentarian and Minister. Minister Hunt is also respected for his considerable media skills and adept ability in handling difficult questions on challenging issues. He has a highly effective and efficient office, known for their professionalism and attention to detail. Highly regarded for his strong policy and analytical skills when dealing with complex and sensitive policy issues and his ability to engage with a broad range of stakeholders, Minister Hunt was appointed the Minister for Industry, Innovation and Science in the second Turnbull Ministry announced on 19 July 2016. So what’s the benefit to the health sector with Minister Hunt’s appointment? He is very passionate about the sector, and knows first hand the challenge that health professionals face – his wife is a nurse, as is his mother. Minister Hunt has already been involved in a number of reviews and discussions on issues of importance to the sector, including the intellectual property review and regulatory processes associated with clinical trials. And in the last 6 months he has also been undertaking the R&D tax incentive review – well aware of the issues facing many in the health sector – particularly those innovative companies keen to establish Australia as a medtech hub. A key challenge for Minister Hunt is to get up to speed on the many and varied other complex issues in the health portfolio, prepare for the 2017-18 Budget in May and manage myriad of stakeholders, each with their own slant on what the new Minister’s priorities should be for the remainder of the term. Senator Sinodinos has been elevated into the enviable role as Minister for Industry, Innovation and Science – a diverse portfolio, but one that is increasingly important to the economy as Australia transitions out of traditional manufacturing and aims to create jobs in new industries. 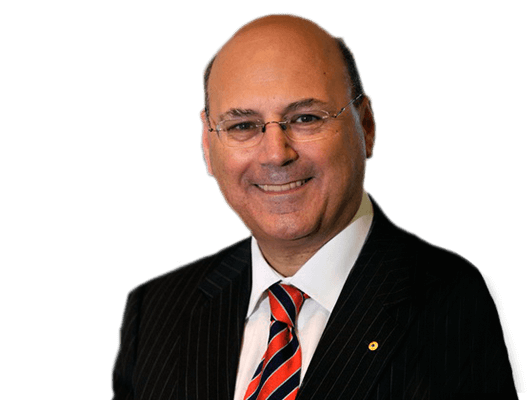 Senator Sinodinos is very highly regarded both within Government and the private sector for his consultative approach and his innate understanding of the synergies between business and government. Senator Sinodinos is known for his focus on policy issues affecting Australia’s increasingly complex economic and financial landscape. He is also highly regarded amongst his Parliamentary peers and their staff for his collaborative, respectful and courteous manner and his easy way with people. So is this a good move for the sector? Senator Sinodinos understands the importance of industry to the economy, and importantly, understands that innovation isn’t just about creating the next new thing, but ensuring that established industries continue to adapt to a changing landscape by introducing technology to make businesses more efficient and effective. Senator Sinodinos has had the benefit of being involved in Cabinet processes since September 2015, meaning that he already has a very solid understanding on the key issues and challenges he will face in this portfolio. Top on his agenda will be finalising the next iteration of the National Innovation and Science Agenda, which will also see the conclusion of the R&D tax incentive review. The Prime Minister has also promoted the Hon Ken Wyatt MP as the new Minister for Aged Health and Minister for Indigenous Health. This is an historic appointment, with Mr Wyatt becoming the first Indigenous Australian to hold a ministry, and importantly will be the driving force in pushing reforms in Indigenous health policy. And in what can be seen as a win for the conservative arm of the party, Michael Sukkar has been promoted to Assistant Minister to the Treasurer, ensuring that the skills learnt in his former career are put to good use. Mr Sukkar will have little time to settle in to the role, with a key function of this role being to assist the Treasurer to coordinate the 2017-18 Budget. The new members of the Ministry are expected to be sworn in on Tuesday at Government House in Canberra. For further information or analysis about these changes, or to talk to CapitalHill Advisory about engaging with the Minister’s offices you can contact (02) 6198 3210 or via email at enquiries@capitalhilladvisory.com.au.